William Cowper and John Newton were arguably the two most notable gentlemen to reside in Olney during the 18th century. Their achievements, life stories and memorabilia are excellently presented in the Cowper and Newton Museum situated in Orchard House on the south side of the Market Place. 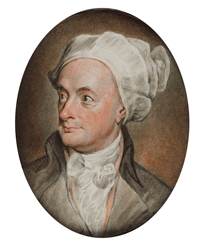 Clicking the image below will lead you directly to the Cowper and Newton Museum Home Page. As the museum has its own comprehensive website, this web site confines itself to presenting a series of links to relevant pages on the Cowper and Newton Museum website. Click the images. An introduction to the renowned poet William Cowper (pronounced Cooper). From 1768 to 1786 William Cowper called Orchard House in Olney his home. The house is still full of mementos of his life here. 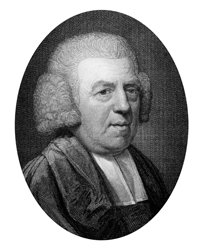 An introduction to John Newton, preacher and former slave trader, who wrote the popular hymn ‘Amazing Grace’ whilst curate-in-charge of the parish church, St Peter & St Paul, Olney. He lived in the rectory opposite the church. The ‘Museum History’ article indicates that ‘The Cowper Memorial Museum and Library’ was opened in 1900, but within a few years became known as ‘The Cowper and Newton Museum’. 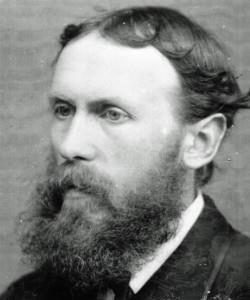 The museum was largely the creation of its first Custodian, Thomas Wright. The museum has assembled information on locally made lace that can viewed whilst visiting the lace making room in the Museum, together with a selection of lace exhibits. 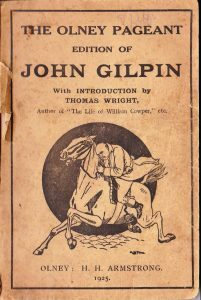 An illustrated 1925 version of William Cowper’s popular poem ‘The Diverting History of John Gilpin’ can be found on this (ODHS) website.